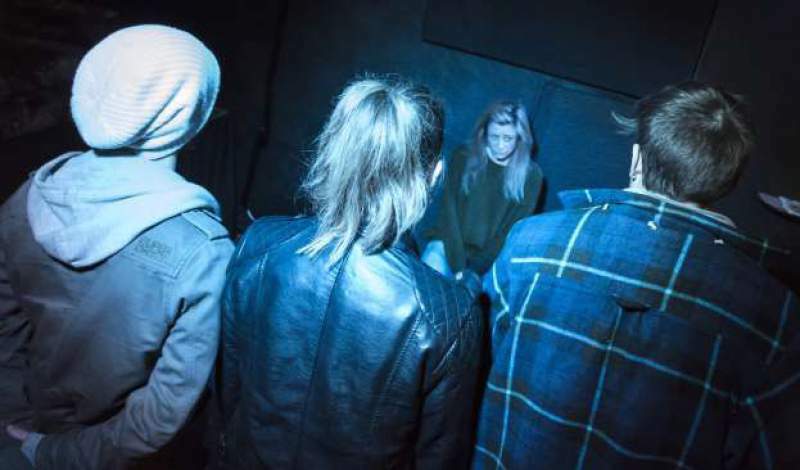 Alphabetti Theatre has excelled itself again in bringing fresh, challenging theatre through its doors, as Newcastle sees The Frights and Your Ever Loving both being performed as a double bill from Wednesday 11th until Saturday 14th May. With further chances to catch the darkly funny The Frights also happening from Monday 16th through to Saturday 21st May as it forms another double bill alongside The Response Plays. The Frights is a twisting play that explores the shades of right and wrong and asks the question, is it ever ok to look the other way? The role the media play in our lives is at the forefront of this piece, written by Louise Taylor and directed by Ali Pritchard. It features a talented cast made up of Christina Berriman Dawson, James Hedley, Jacob Anderton and Sally Collett. It all follows the journey of Hanny and the escape she made from three months of captivity, and whether or not there’s more to her story. The first double bill sees Your Ever Loving, which is written by Martin McNamara and directed by Jamie Eastlake, chart the fight of a man vying to prove his innocence and uncovers one of the greatest miscarriages of justice in British legal history. The second double bill sees The Response Plays, a unique concept in which 30 writers were selected to watch the dress rehearsal of The Frights and then submit a short 15 minute play in response to the production. The best two will now be produced and performed alongside The Frights. It all makes for some very special theatre. The Frights and Your Ever Loving are at Alphabetti Theatre, Newcastle from Wednesday 11th until Saturday 14th May, with The Frights and The Response Plays at the same venue from Monday 16th to Saturday 21st May.